Javorník is a small and picturesque town in the Jeseník District, in the Olomouc Region. Historically, it belonged to Silesia. To differentiate it from several villages of the same name in Bohemia, the town is also known as Javorník ve Slezsku (Javorník in Silesia) and as Javorník u Jeseníku (Javorník near Jeseník). The town borders the Polish municipalities of Paczków and Lądek-Zdrój from the north and the south. The distance from Olomouc is approx. 90.5 km (56 mi). The nearest international airport is in Pardubice (PED). It is a small airport and at the time of writing, it serves only regular flights to London-Stansted and chartered flights to several other European destinations. Journey time from Pardubice Airport to Javorník by public transportation (bus + train) is 4-6 hours. A bigger international airport nearby is in Wrocław, Poland (WRO). However, despite the relatively short distance, there may not be any convenient connections by public transportation from Wrocław to Javorník. If you decide to land there and want to get to Javorník, you might need to rent a car. The alternative would be changing trains several times and spending many hours on the train. Other airports which are relatively near include Ostrava (OSR) and Prague (PRG). Getting to Javorník from these airports by train also takes more than 4 hours. 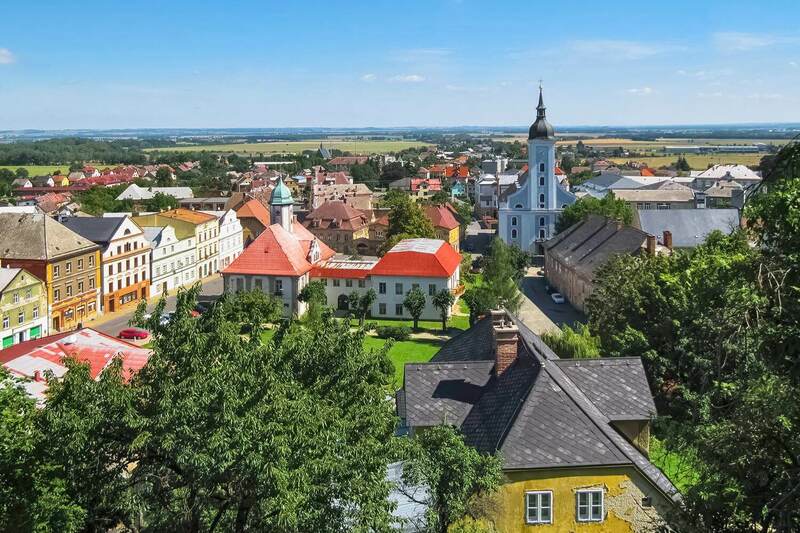 The best way to explore the town is going there by private car or staying in the beautiful city of Olomouc or in the Jeseníky mountains (Eastern Sudetes) for a few days, and making a short trip to Javorník from there. The most impressive landmark in the town is the Jánský Vrch Chateau (zámek Jánsky Vrch). 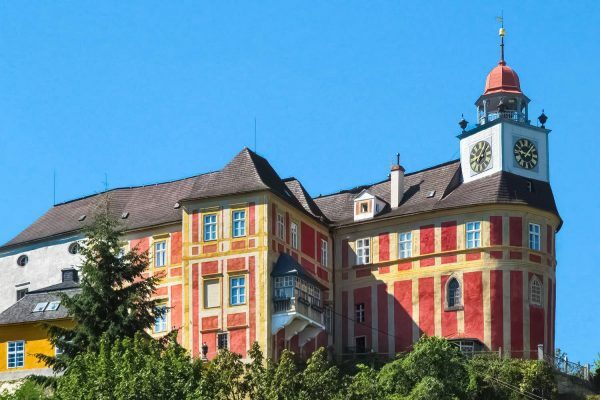 It was built originally as a castle on top of the hill of the same name in the 2nd half of the 13th century. In the 18th century, it was converted into a Baroque chateau by the bishops of Wrocław (Breslau), who owned it for most of its history. Nowadays, it is owned by the Czech state and can be visited by tourists. Thanks to the chateau’s elevated location, visitors are able to see a beautiful panorama of the town and the surrounding region. Opening times can be found here. At the time of writing, the official website was available only in Czech. The historic centre of the town was declared a protected cultural zone in 1992. The main landmarks are: the town hall from 1935, the Baroque Church of the Holy Trinity from the 18th century and the Gothic Church of the Holy Cross from the 13th century. The famous Austrian composer Carl Ditters von Dittersdorf spent many years in the town and the Baroque house where he lived (Dům Karla Ditterse z Dittersdorfu) is a protected monument. It was built in the 18th century and it houses a school nowadays.